I felt extra bouncy this day, from my hair down to my shoes. I was part of a fashion show so my hair was beautifully styled and my makeup was all pretty. How I wish I wake up looking like this everyday. But that’s just not the way life works. Since I had a super long day (emphasis on the “SUPER”) ahead of me, I made sure to wear comfortable clothes and shoes. 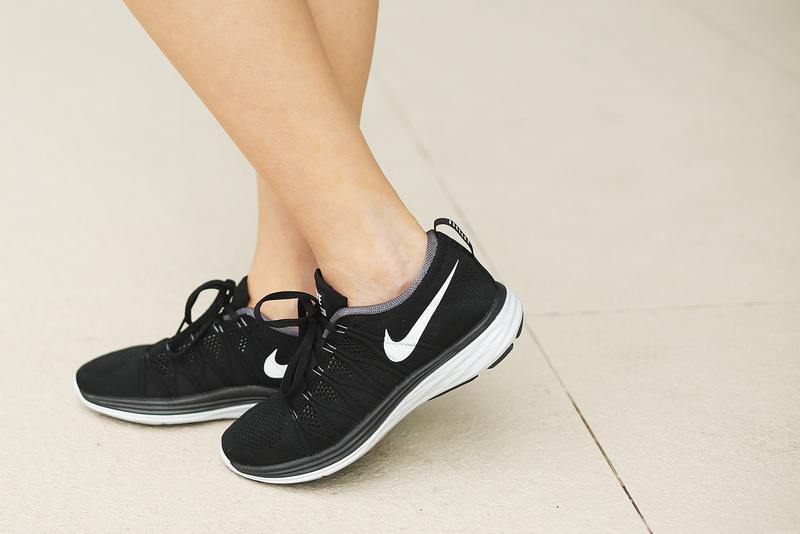 Enter my first ever Nike Flyknit Lunar 2 shoes from JD Sports, which I am now dubbing my chicest training shoes ever! This pair is responsible for that extra bounce in my walk. It was as if “Walking On Sunshine” was playing on the background as I rushed from place to place. I’m so tempted to wear them everyday! Okay fine, every other day? LOL! Thanks Christine! :) Sometimes I do haha! Hi camille! I would like to know the size of the blazer you are wearing here. I love this fit on you! Im also looking for this kind of fit. Do you normally buy the smallest size they carry? 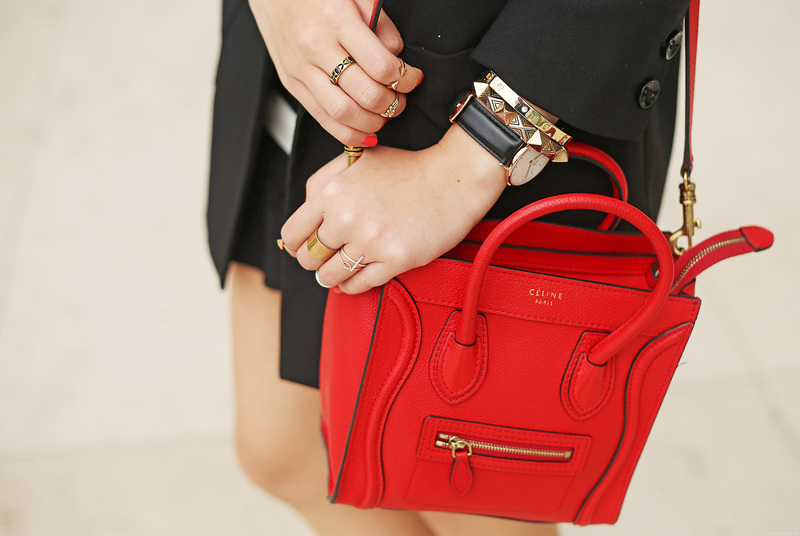 That celine bag is so gorg!!! Thanks Katrin! Shorter hair for summer? Definitely! Thanks Charisse! oh dear, I hate cardio. Most I can do is 10minutes on the treadmill! Haha! Thanks maebs! Don’t worry, this Celine bag is here to stay haha! First of all,i love your hair and make up!! Next is i also love the way you match those rubber shoes with that kind of outfit. Lastly, your accessories are very nice. Super lovely!! I love how you accessorize ! Your hands are so beautiful ! May I ask, where did you buy your red celine bag? Like na like ko po yung new hair nyo. :)) And bagay po talaga sa inyo yung black and white. Thanks Mhaica!!! :) Hopefully soon! you look fabulous in every ways, Camille. i like the way, you pose simple very natural yet the aura of it is very eye catching…its because you are beautiful. Thank you Anna! :) I appreciate it! Oh wow-your hair and make-up! Perfect! You look so much like Tricia Gosingtian with your look! Hihi. Your shoes! Nike avid fan here. Ugh.. can I have those? JK. Haha! Comfy clothes + running shoes = best outfit ever. You could just sprint through your office/meeting/DATE/whatsoever in case you’re already late! Hahaha! Yes I felt like sprinting! Most definitely! minsan talaga kahit anong simple ng suot, sa nagdadala parin iyon eh. but im not saying this is simple. hehe. fierce!! ganda po ng make-up mo jan :) ILY! Fabulous outfit. Love the stripes and the cropped top. And I love that your paired it w sneakers.